Slammin’ started here. Well, not exactly. Dennis Ahern, a Boise ultra runner and his good friend, Ryan C Lund, both got into Western States this year. I spoke with them briefly about their good fortune only find out that they were planning on doing the GrandSlam of Ultras. Like any Grand Slam, in golf or tennis for example, you have to win or at least be entered in the first event. I thought for a moment about their good fortune and the idiocy of the idea when it occurred to me that they were living by the old adage, in for a penny, in for a pound. And I realized that I wanted to be there with them. I pitched the idea to both Marathon and Beyond and iRunFar. At this point I should tell you that I am a race photographer who loves to shoot ultras and a writer who like to write about shooting images, photography and running, that is, when I am not wandering around in a dream state about the Great American Novel. Back to the story: to my delight both entities thought I had a good idea-following these two non elite, middle of pack folks and telling their story. Ian Sharman is not a middle of the pack runner. Hell no, he is a fast 100 miler, a sponsored athlete, a coach and a pretty humble guy who arrives at race the night before, sleeps in the back of his car, wins the race, hangs out for awhile and then does it all over again. He gets faster the longer the distance. It turns that he is doing the Grand Slam with his eye on the record set by Neal Gorman 74:54:16 in 2010. This is some record by the way. 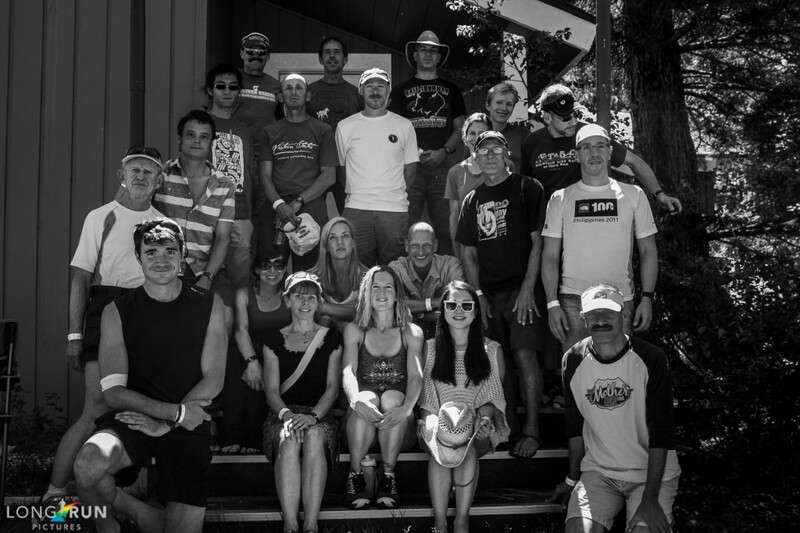 Western States, Vermont, Leadville and Wasatch comprise the modern Slam. Gorman was 20 hours in the first three and 21 hours at Wasatch. Ian will certainly have his work cut out for him. It didn’t take but a minute to realize that the stories for the magazines were the necessary motivation to look at the bigger picture. Just as many books are generated from magazine articles as way of expanding the scope of the story, a book could be built on the story of the 2013 Ultra Grand Slam that would feature all of the 24 entrants and their journey together to the common goal of finishing and getting a very rare buckle in recognition of their achievement. Without knowing each other they were already a band of brothers/sisters in pursuit of something magical. A Facebook page emerged and the participants showed up one by one. Remember the image at the head of this piece? These are runners in the Javelina Jundred 2012. I caught them in the very early morning. A line of individuals, not talking to one another for the most part, concentrated fully on the task at hand. The back lighting darkens their faces and in so doing raises them above their individual personalities, creating archetypes, meta runners, representations of every who ever laced up and set out for something “over yonder” someplace down the road, a further peak, a dream in hand. 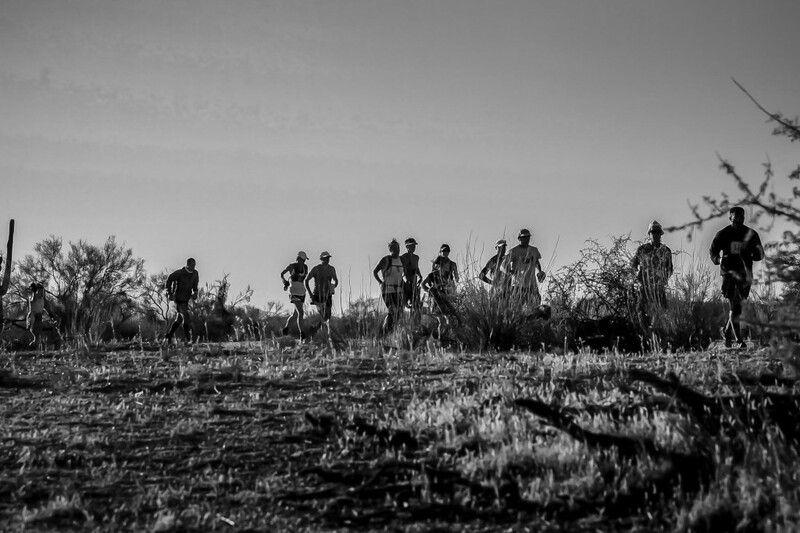 I kept looking at this image and recognized that it is a journey for the runners captured in the lens, and equally for the photographer behind the lens. Our lives have brought us to here and where we go from here will be,in part,the result of what happens this day and night. I bear witness, tell the story, paint their images on the walls of metaphorical caves(this generation’s social media)in much the same way as the cave painter of early humanity told the stories of the hunt and their glorious adventures scratched on the walls of real caves. Let your own dream factories go to work. Keep your eye the Grand Slam this year. There are some wonderful stories out there just waiting for all of us. I can’t wait. It’s gonna be a time for all of us to celebrate the most precious gift we have been given, our lives in this particular time.